There are 25 Triangles in this package that are 1" tall with sides that measure 1 1/8" long. 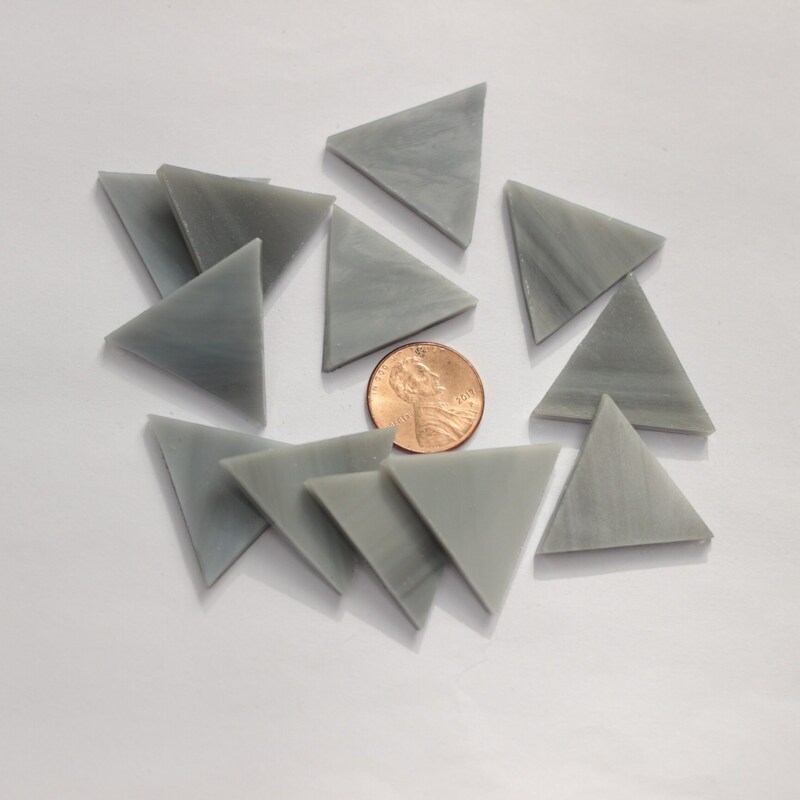 Smokey Gray is a light to medium gray stained glass with just a little white in the striation. We use this glass for a variety of creatures. Dolphins, manatees, pelicans and herons to name a few. Works well in both mosaic and light transmission projects. This is Spectrum glass that is smooth on both sides, 1/8" thick and made in the USA!